I am over the moon to be starting off the book blog tour for Rachael Lucas’s new novel Wildflower Bay. 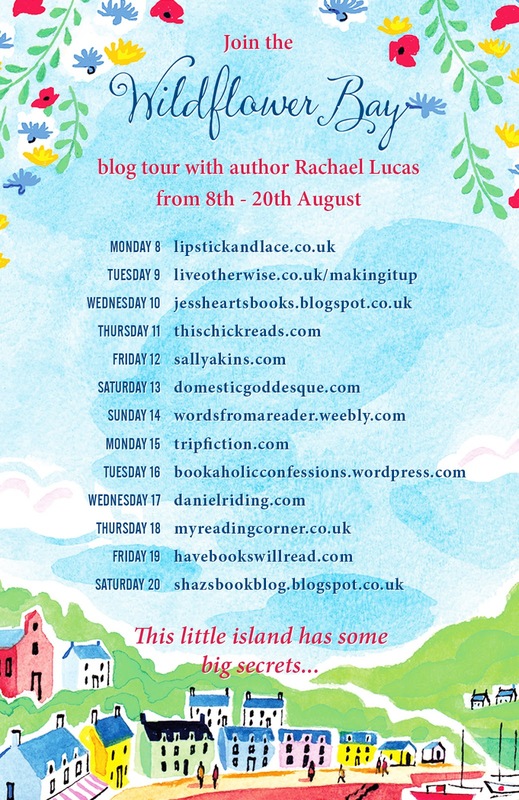 You may remember that I was part of the book blog tour for Rachael’s last book Coming Up Roses and if you enjoyed that story you will love this one! 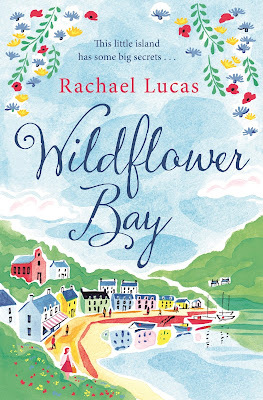 We are taken back to the Island of Auchenmor in Wildflower Bay a place we were introduced to in her first novel Sealed with A Kiss and I for one am glad we are back! Where do I start?? I thoroughly enjoyed this book, in fact I couldn’t out it down and read it in less than 24 hours. It has everything you want, an uplifting story, romance, a little sadness and quite a few giggles. I loved being back on the Island and even though we meet a few friends from the first book they are not a huge feature and the new characters totally stand on their own. I have now re found my passion to go off and love on a remote Scottish island! The story is spilt into three parts which lent it’s self nicely to be publish in three small eBooks which can purchase now on kindle (The first one is currently free). I was saving all mine to read together and then I was kindly sent a paperback version to read. You will be able to buy it in paperback on the 11th August! 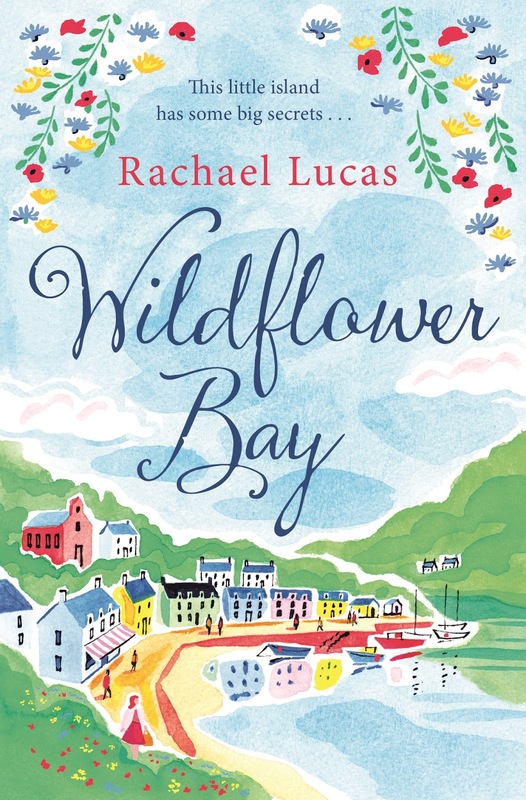 If you are looking for a great summer read, then Wildflower Bay is for you. I can’t wait for the next cracker from Rachael and I would rather like to see more books from the Island. I think she should have an Auchenmor chronicles like Jilly Cooper has a Rutminster chronicles. Joking a side Wildflower Bay is a must read.